The FAU Brain Institute, a physical embodiment of the Neuroscience Pillar - one of four strategic areas designated to advance research and research education - represents more than 70 faculty level neuroscientists from across all FAU campuses. Efforts of the Brain Institute involve the recruitment and resourcing of top flight neuroscience researchers, the development of neuroscience research infrastructure to permit cutting edge research among FAU faculty and students, the distribution of the fruits of research for the betterment of human health, and the organization of community outreach initiatives to educate the next generation of neuroscientists and dispel the stigma associated with many brain disorders. 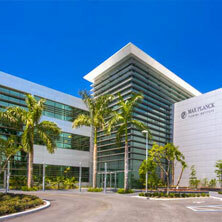 The FAU Brain Institute developed and oversees the GNTP through its Boca Raton Education Office. In 2019, the Brain Institute Research Office and institute-sponsored researchers will relocate to a new, state-of-the art, 72,000 sq ft STEM building on the Jupiter campus. For two decades, FAU’s Center for Molecular Biology and Biotechnology (CMBB) has linked FAU with other institutions and industries in the field by coordinating research and training programs in molecular biology and biotechnology. The CMBB continues to grow, keeping FAU competitive in the biological sciences and preparing versatile graduates for careers in medicine, basic research or industry. The Department of Biological Sciences is now the largest department in the University and a leader in three areas of effort; teaching, research and service. The number of undergraduate majors has been growing steadily; we now have over 2500 declared majors and 300 students graduate per year with Bachelors degrees in Biology. The number of student hours of instruction for majors and non-majors is the largest in the Charles E. Schmidt College of Science (CESCOS). In spite of the large size and consequent workload of faculty, the Department is an innovator in education and has obtained NSF education grants, developed an Honors program that was the blueprint for the University wide Honors program and has engaged greater than 10% of the undergraduate majors (>250 students) in some form of research. A significant number of the honors students have worked on capstone thesis projects and many have published papers with their mentors. Osher Lifelong Learning Institute at Florida Atlantic University, Jupiter is dedicated to enriching the intellectual and social lives of seasoned adult learners by offering stimulating educational opportunities, taught by outstanding university faculty and guest lecturers, designed to broaden students' understanding of diverse cultural, societal, scientific and global issues. Osher Lifelong Learning Institute at FAU, Jupiter offers non-credit, university-level courses for learners of all backgrounds and interests. Classes are held at the Elinor Bernon Rosenthal Lifelong Learning Complex, located on FAU's John D. MacArthur Campus in Jupiter, FL. Part of the prestigious Max Planck Society, MPFI is the first and only institute of its kind in North America, providing a vibrant, interactive environment where scientists are provided substantial ongoing support that empowers them to take on high-risk projects that act as a catalyst for highly-rewarding innovations. At MPFI, research is focused on the organization and function of neural circuits. MPFI scientists investigate fundamental aspects of these critical networks within the brain and develop new technologies that make groundbreaking discoveries possible. 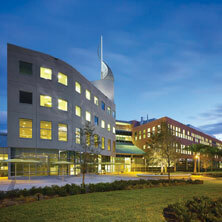 MPFI is home to many FAU graduate and undergraduate trainees and outstanding core facilities shared by FAU neuroscientists. MPFI contribute to the training faculty for GNTP students who opt for a graduate degree through the IBNS program. The Scripps Research Institute (TSRI), with campuses in La Jolla, CA and on the Jupiter, FL campus housing FAU and MPFI research laboratories, is a nonprofit research institute that supports the research of nearly 3,000 scientists. The SRI installation in Jupiter is home to multiple departments, including the Department of Neuroscience which is focused on understanding how the brain works and what goes wrong in the many disorders that affect brain function. TSRI scientists are also heavily engaged in translating basic research discoveries into therapeutics through drug discovery efforts that can help improve the cognitive impairments associated with aging and the many psychiatric and neurological conditions that alter memory including Alzheimer’s disease, schizophrenia, bipolar disorder, autism, anxiety and depression. Scientists at TSRI co-mentor students who enter through the GNTP and are co-mentored by IBNS faculty. TSRI faculty engage in many research collaborations with FAU neuroscientists and serve on IBNS thesis committees. Outstanding core facilities, such as those for DNA/RNA sequencing, proteomics, behavioral and metabolic phenotyping, and drug discovery are open to FAU neuroscientists and their trainees.